America's Test Kitchen reviewed a number of tablet holders to see which one would hold up best in the kitchen. The winner? Arkon's IPM-TAB1 Folding Tablet Stand! America's Test Kitchen reviewed a number of tablet holders to see which one would hold up best in the kitchen. 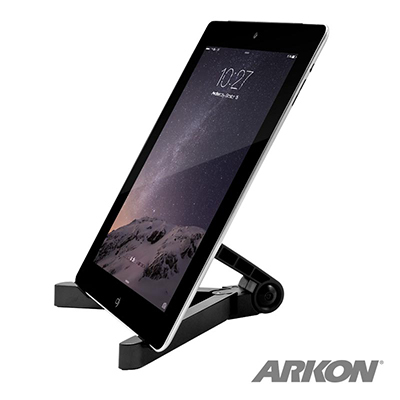 Arkon's IPM-TAB1 Folding Tablet Stand!